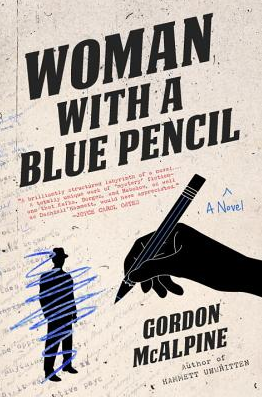 PASADENA — Gordon McAlpine will sign copies his novel “Woman with a Blue Pencil” (Seventh Street Books) on Wednesday, Dec. 2, at 7 p.m. at Vroman’s Bookstore, 695 E. Colorado Blvd. in Pasadena. McAlpine will discuss his book with Naomi Hirahara, author of the Mas Arai and Officer Ellie Rush mystery series. What becomes of a character cut from a writer’s working manuscript? On the eve of Pearl Harbor, Sam Sumida, a Japanese American academic, has been thrust into the role of amateur P.I., investigating his wife’s murder, which has been largely ignored by the LAPD. Grief-stricken by her loss, disoriented by his ill-prepared change of occupation, the worst is yet to come. Sam discovers that, inexplicably, he has become not only unrecognizable to his former acquaintances but that all signs of his existence — including even the murder he’s investigating — have been erased. Unaware that he is a discarded, fictional creation, he resumes his investigation in a world now characterized not only by his own sense of isolation but also by wartime fear. Meantime, Sam’s story is interspersed with chapters from a pulp spy novel that features an L.A.-based Korean P.I. with jingoistic, anti-Japanese, post-Dec. 7 attitudes — the revised, politically and commercially viable character for whom Sumida has been excised. The Los Angeles Times called McAlpine’s first novel, “Joy in Mudville” (1989), an “imaginative mix of history, humor and fantasy…fanciful and surprising.” It was re-released in 2012. “The Way of Baseball: Finding Stillness at 95 MPH” (2011), McAlpine’s first book of non-fiction, was written in collaboration with Major League All-Star Shawn Green and was published by Simon and Schuster to outstanding reviews. 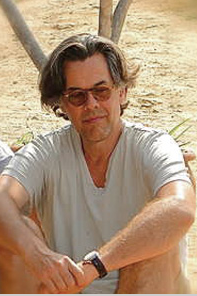 McAlpine’s other novels include “The Persistence of Memory” (1998) and “Mystery Box” (2003). His short story “The Happiest Place” appears in the anthology “Orange County Noir.” He has chaired and taught creative writing in the Master of Fine Arts Program at Chapman University in Orange, as well as fiction writing classes at UCLA and UC Irvine. Hirahara’s most recent publications include the Mas Arai mystery “Strawberry Yellow” and the Ellie Rush mysteries “Murder on Bamboo Lane” and “Grave on Grand Avenue.” The next Mas Arai book, “Sayonara Slam,” is due out next year. For more information, call (626) 449-5320 or visit www.vromansbookstore.com.